The BioCare® range of nutritional supplements was developed by practitioners for practitioners some 20 years ago. The range of supplements available has grown significantly, but the ethos of the brand remains the same, "supporting those who recommend". 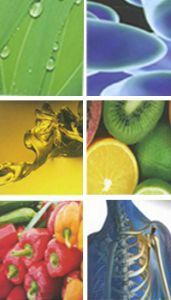 Biocare is valued for its emphasis on presenting nutrients in their most bio-available forms, using unique manufacturing processes that mean they are suitable for people who are highly sensitive or have food allergies and intolerances. The addition of unnecessary artificial colours, sweeteners and flavourings is avoided wherever possible. BioCare® prefer to present supplements in capsule form whenever possible which helps to protect the contents meaning that common additives which are often problematic for intolerant individuals, can be avoided. A world first, BioCare® DuoCaps are a capsule in a capsule which allow multiple ingredients to be available as a single supplement and then be released at different times in the gut. BioCare® use unique technology to lock microscopically small droplets of a nutrient into a micelle which is small enough to pass through the mucosal barrier of the gastrointestinal tract and so increases absorption greatly. Biocare's emulsification process allows oils to be better utilised by the body. BioCare® fish oils are subject to strict criteria for quality and purity being screened for heavy metals, PCBs and other organic contaminants.